Once again one of our products has recently appeared on the popular makeover TV series ‘The Hotel Inspector’, on Channel 5. 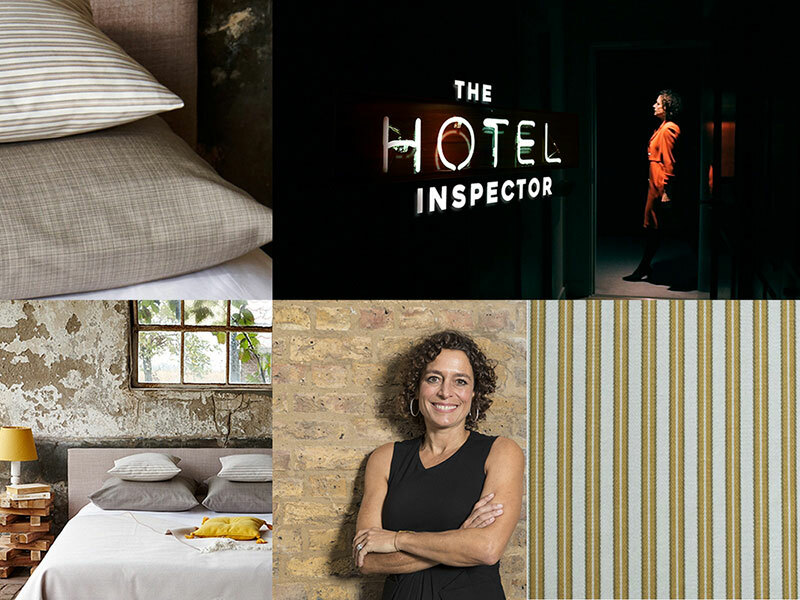 This programme is hosted by award winning hotelier, Alex Polizzi, as she sets out to salvage some of the worst run Hotels and B&B’s in Britain. From our Aspen Trevira CS Weave Collection, Kendal in a smart yellow stripe was used in the refurbishment of The Crown - Aldbourne. If you’d like more details on this collection, please follow the link above. Or order samples through the website or our sales office.